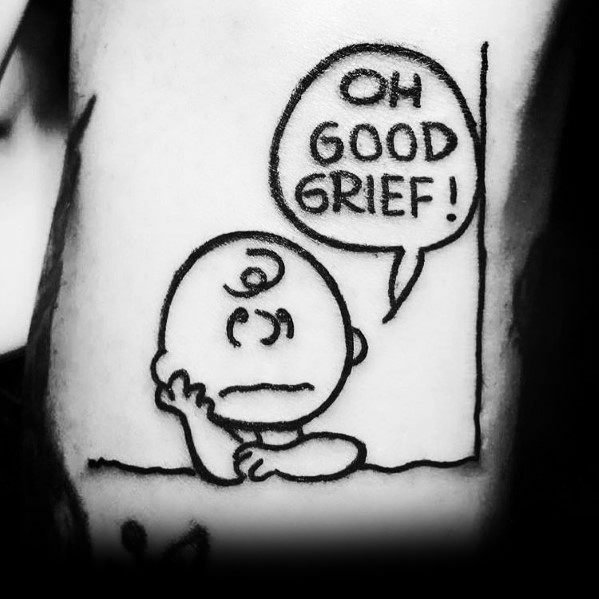 Charlie Brown, everyone’s favorite cartoon existentialist, is more than a Sunday comic strip icon for the ages, but a reminder of the humble origins that made us the men we are. 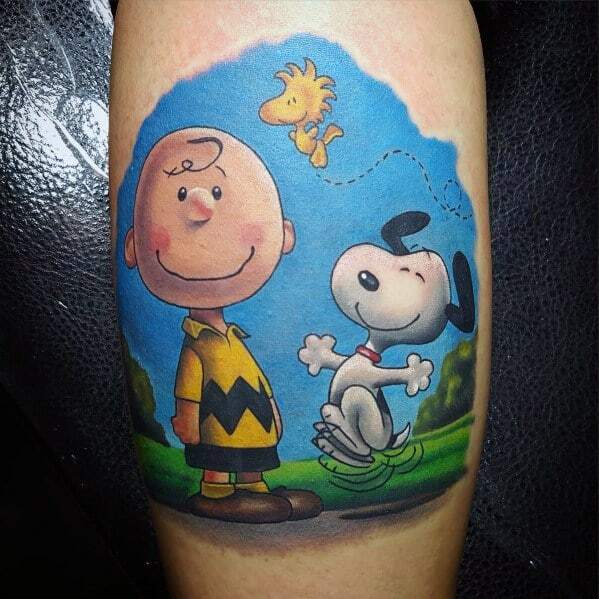 Charlie and his faithful sidekick Snoopy were heroes in our young minds, and while we may have grown up and into our confidence and sense of value, there’s always space for remembering the Peanuts hero. 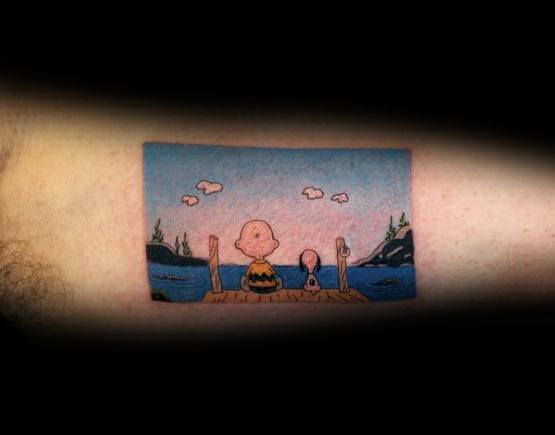 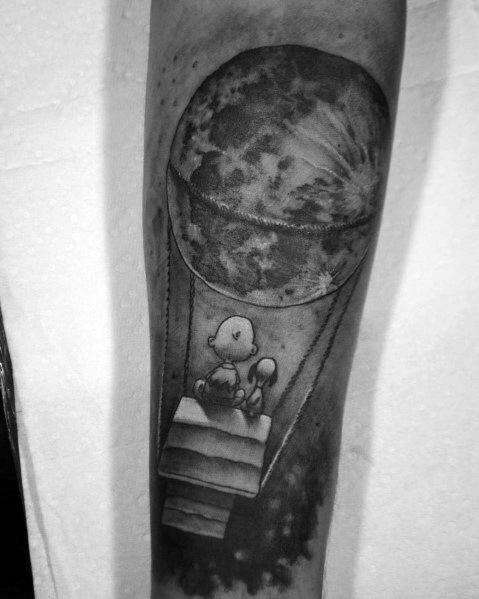 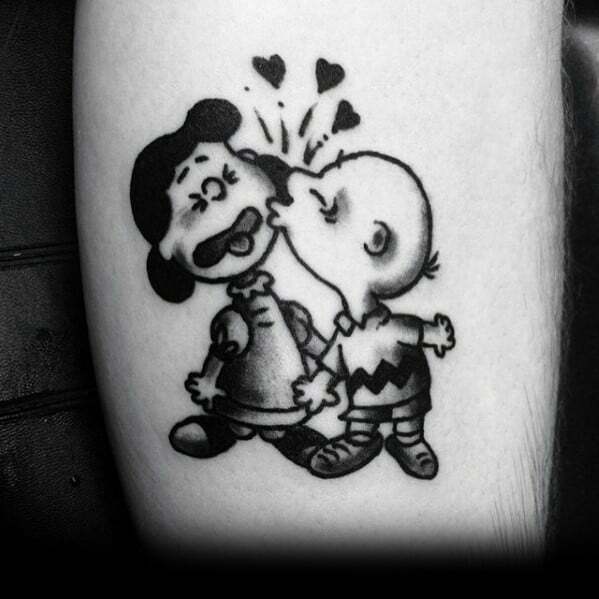 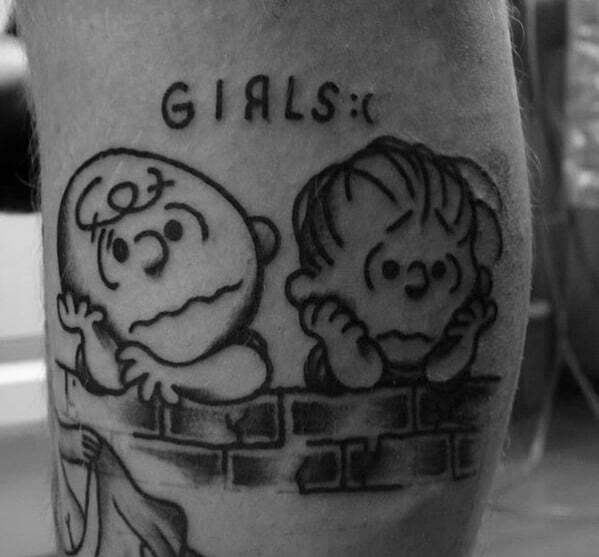 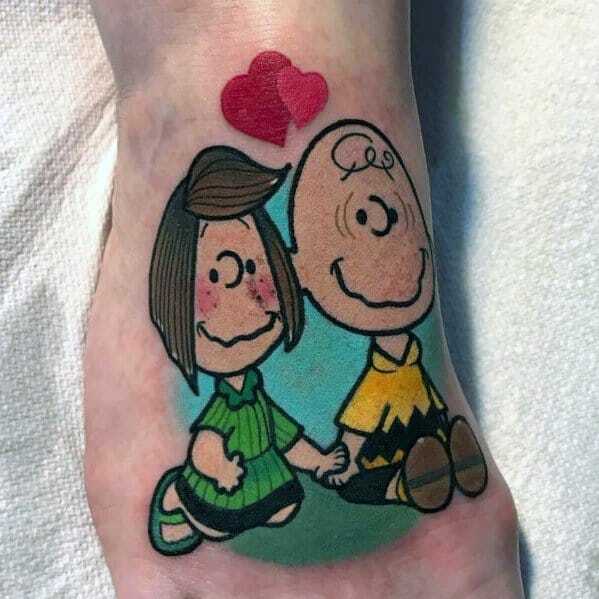 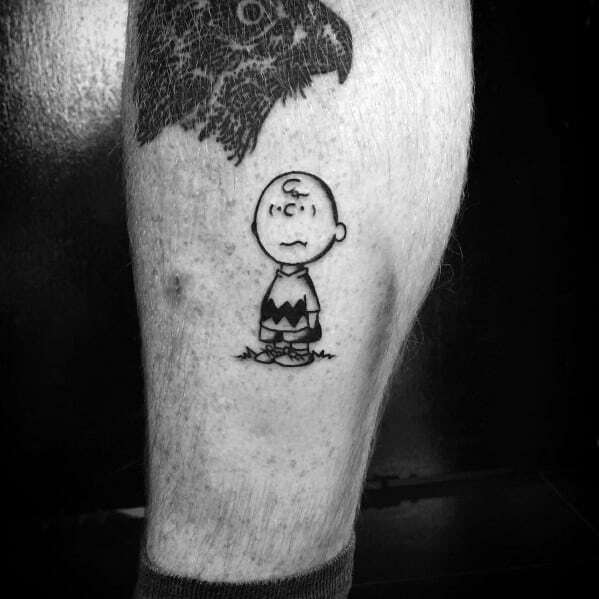 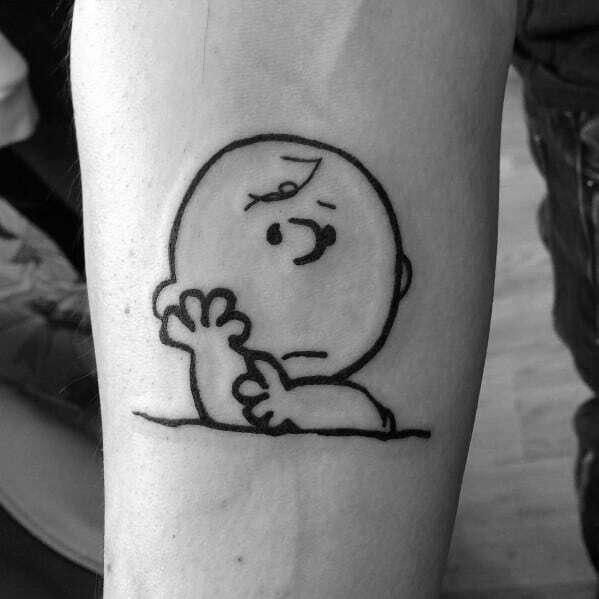 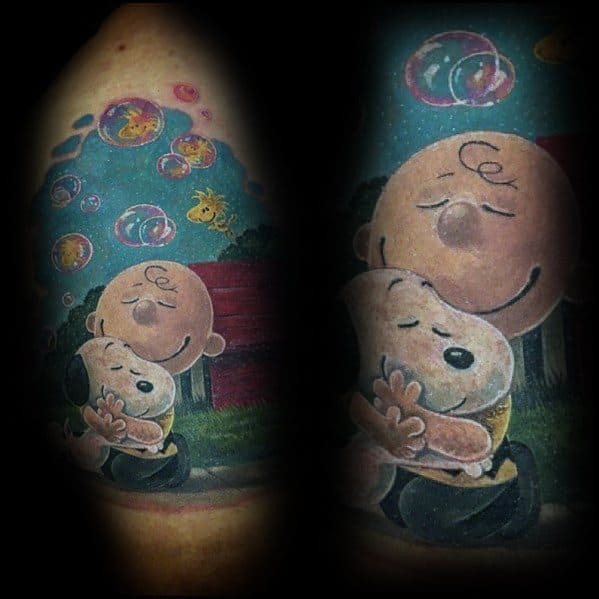 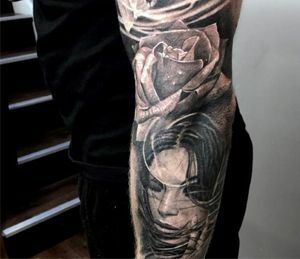 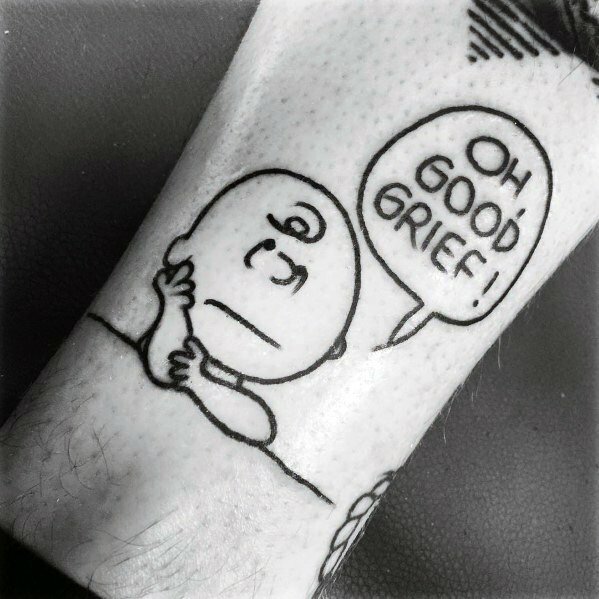 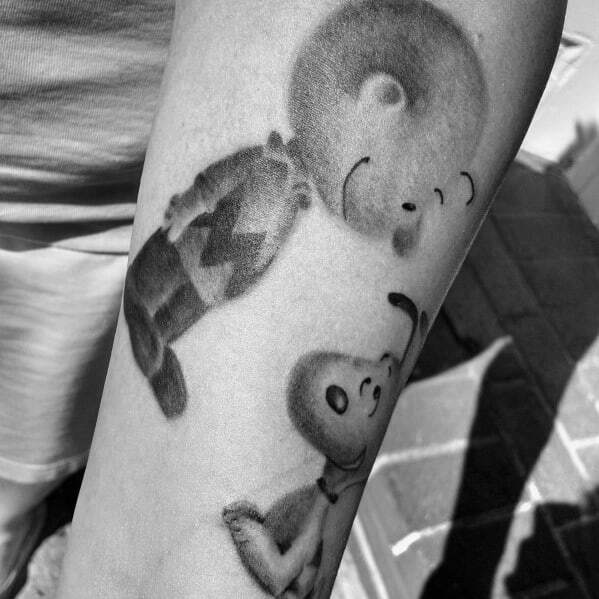 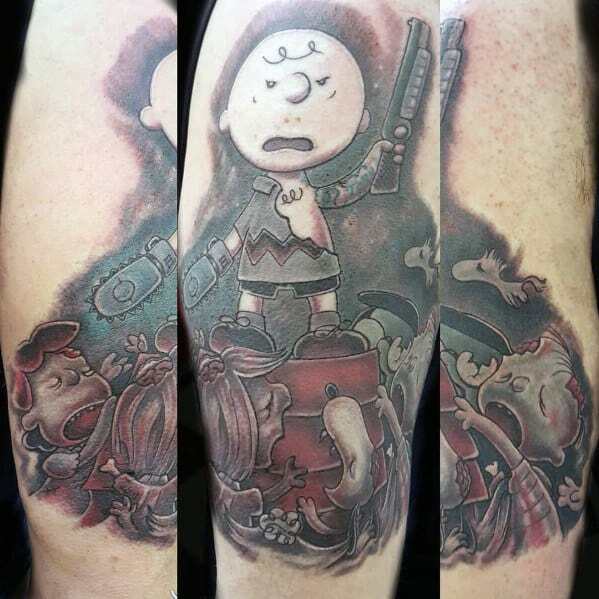 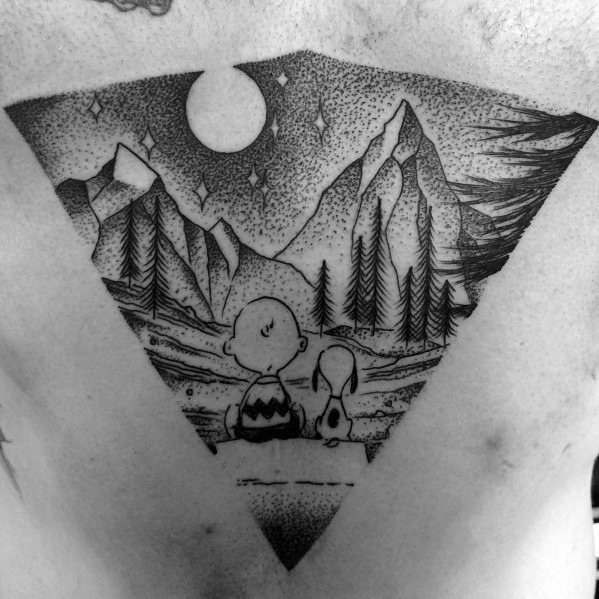 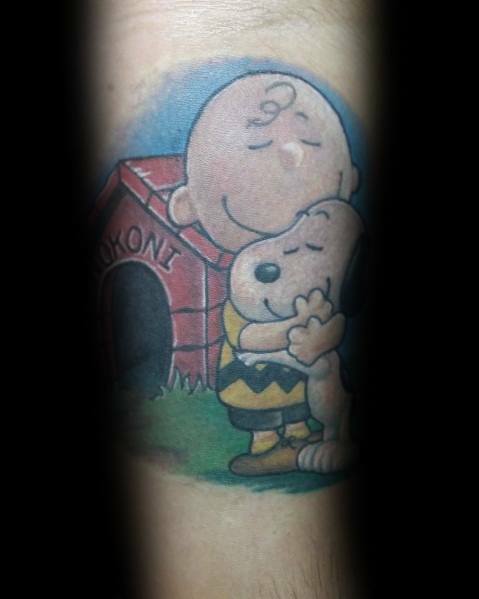 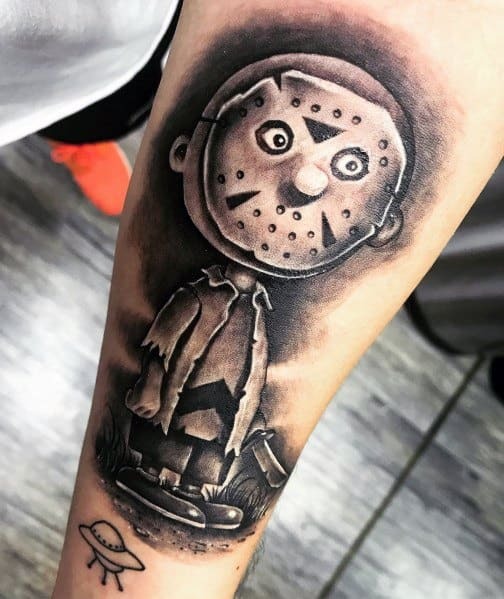 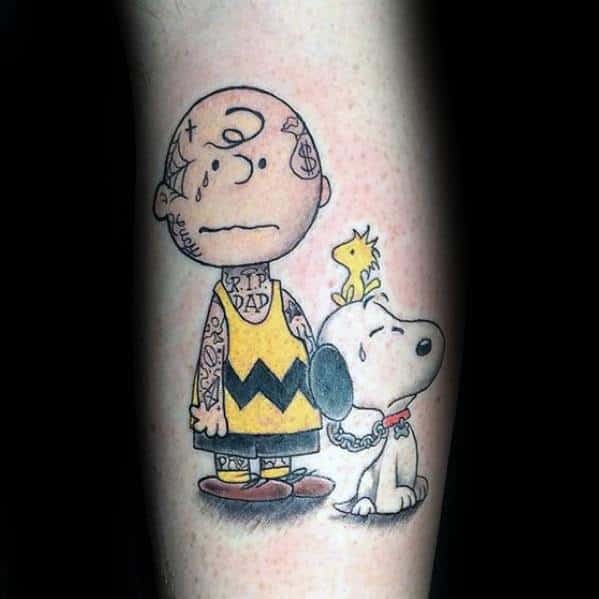 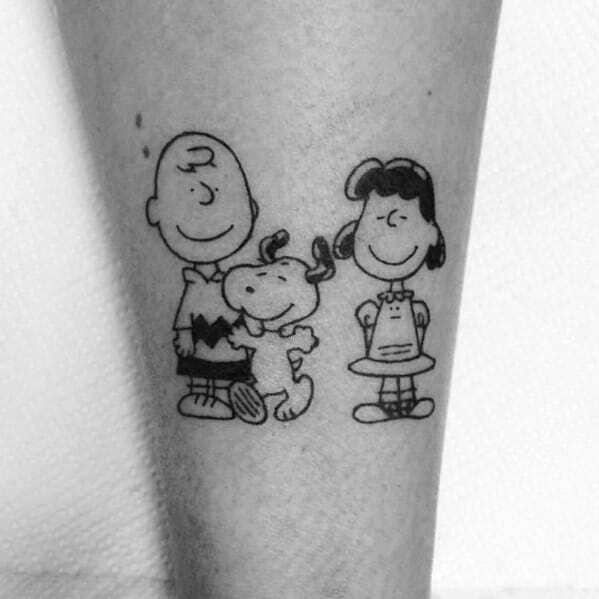 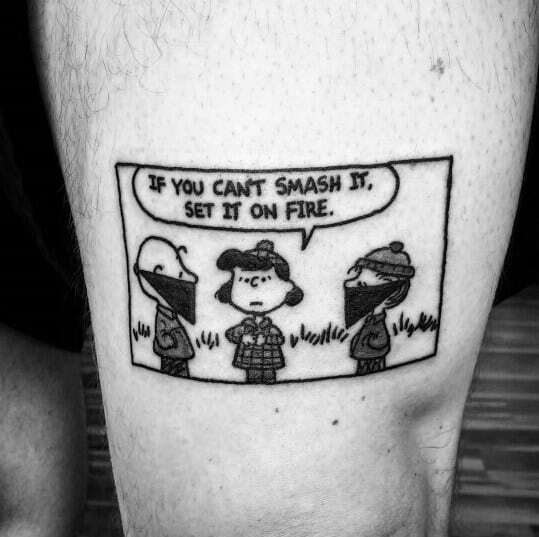 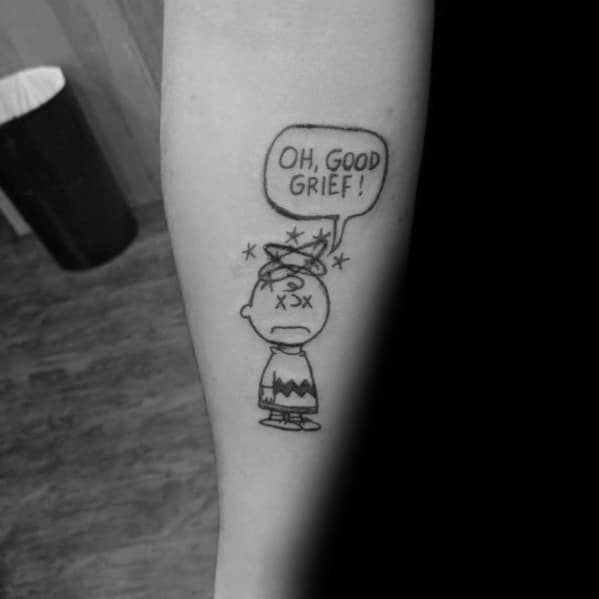 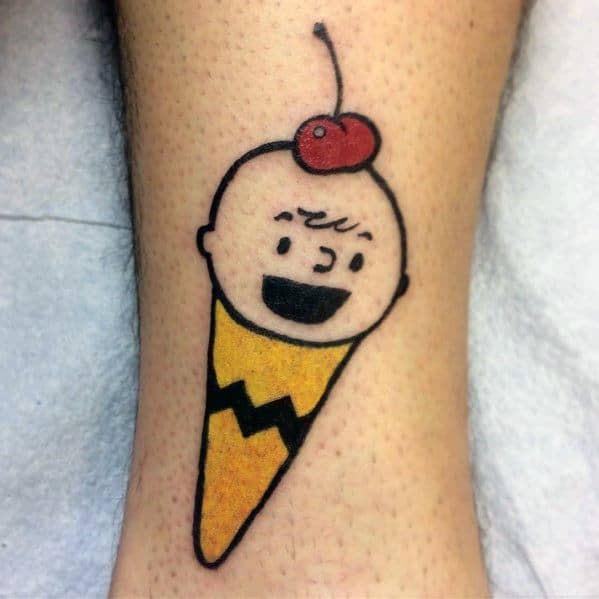 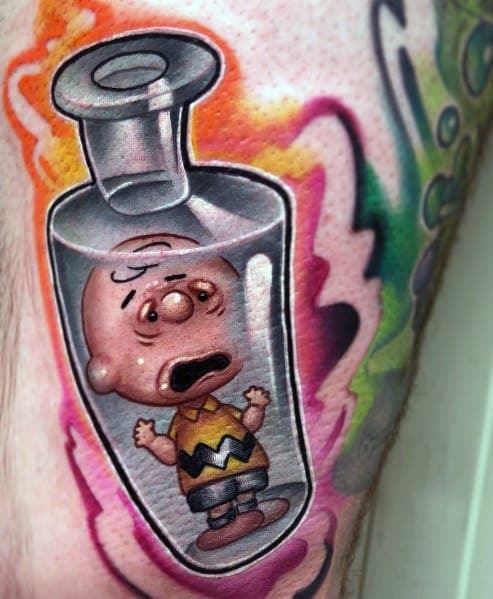 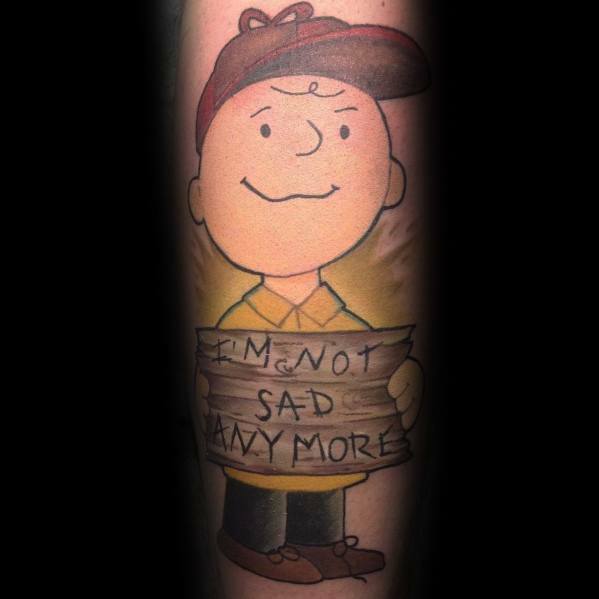 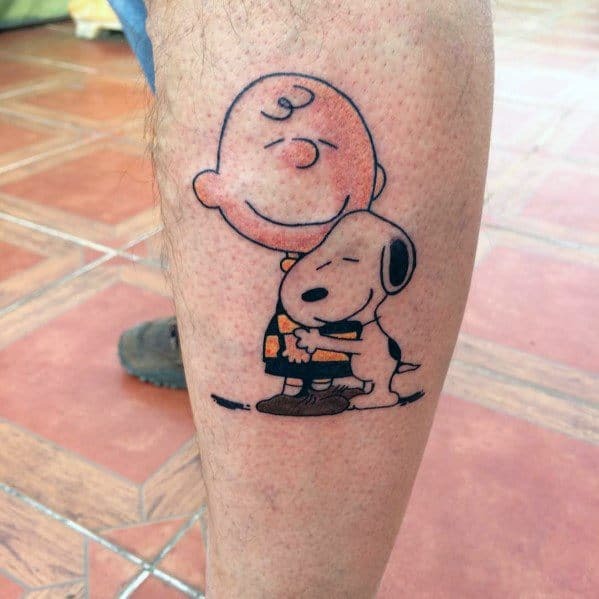 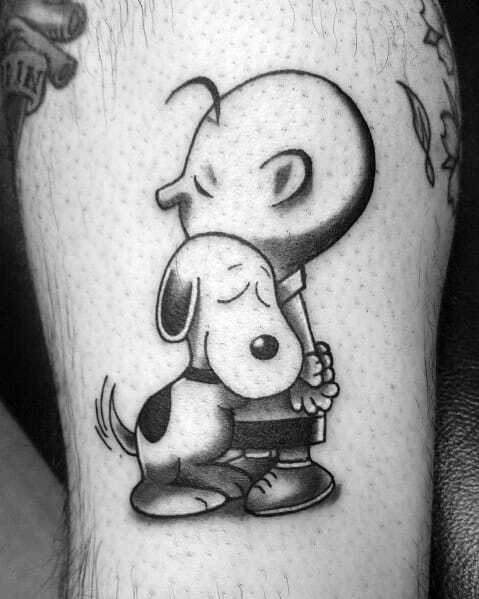 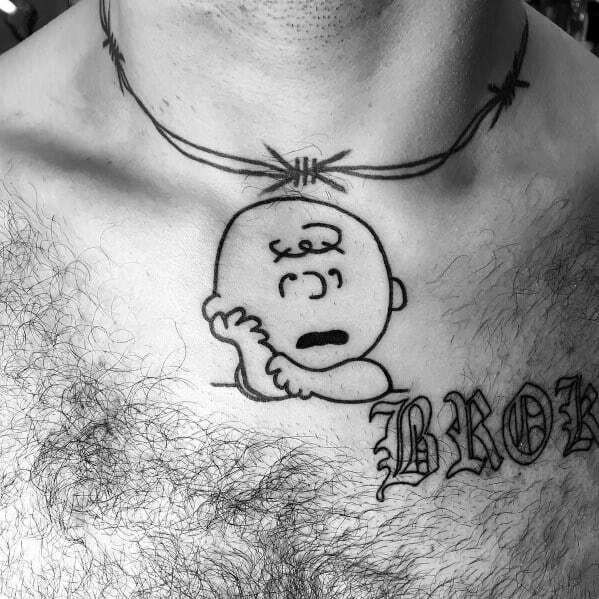 A Charlie Brown tattoo is a charming way to give credit to both his creator Charles M. Schulz, and the world he made for mild-mannered Charlie. 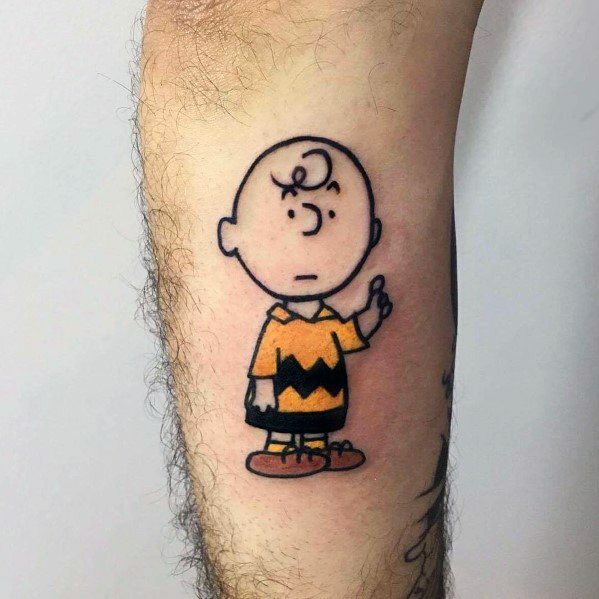 Charlie Brown was a loyal friend and constant voice of reason; he stood up for what (and who) he believed in and never failed to follow his innate sense of right and wrong. 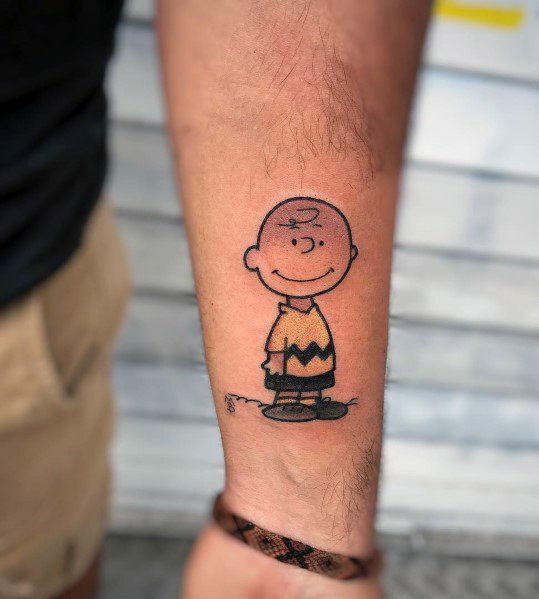 A quintessential gentleman and scholar–albeit at the elementary school stage of his journey–Charlie no doubt grew into a man worth admiring and sticking by. 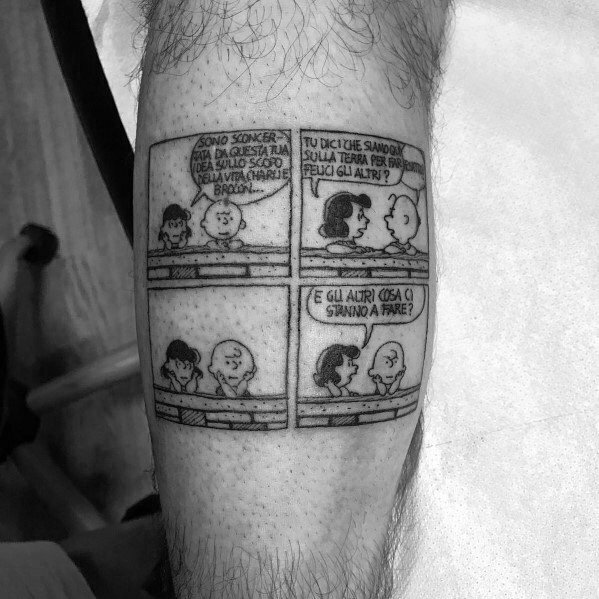 Perhaps a man like you? 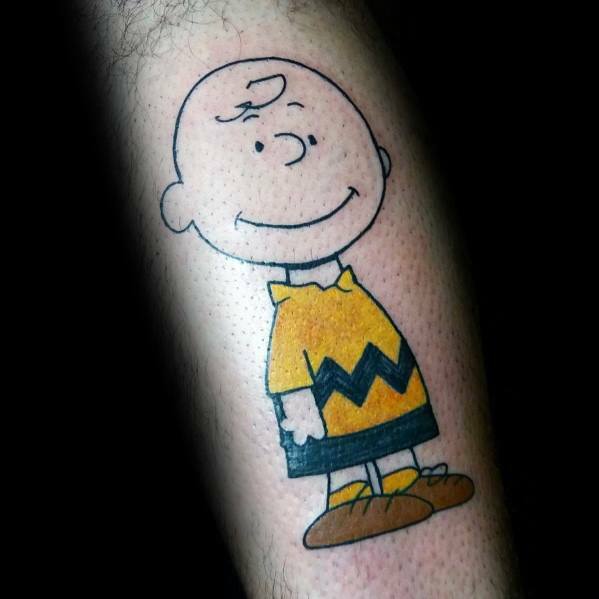 Your Charlie Brown tattoo will no doubt illicit nostalgic smiles from those who look upon it, but also reveal a great deal about you. 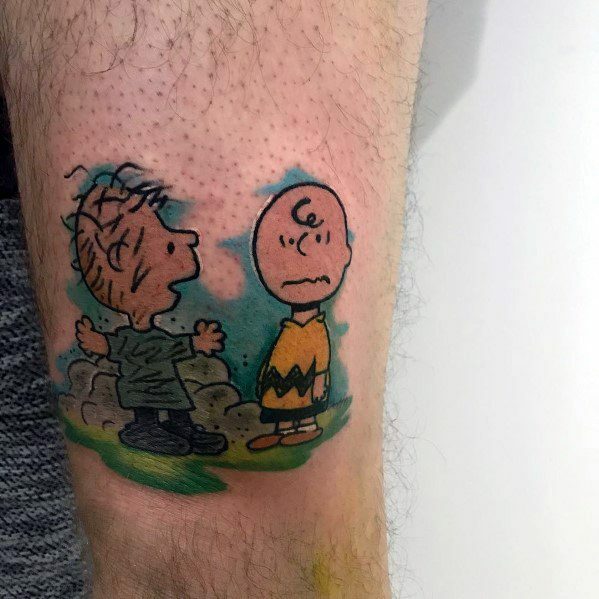 Clearly you and Charlie share more than a few characteristics, and the man he grew into may just align with the man you are today. 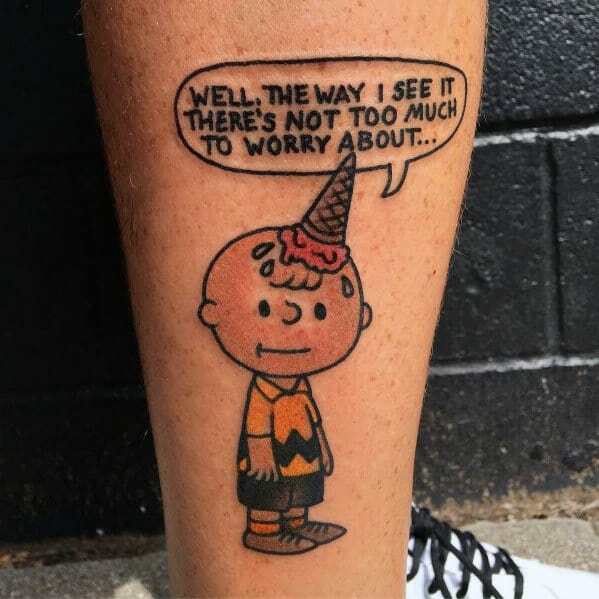 You too believe in sticking up for what you believe in, for asking the deep questions in life, and never settling for what the “adults” pass off as easy wisdom and words to adhere to. 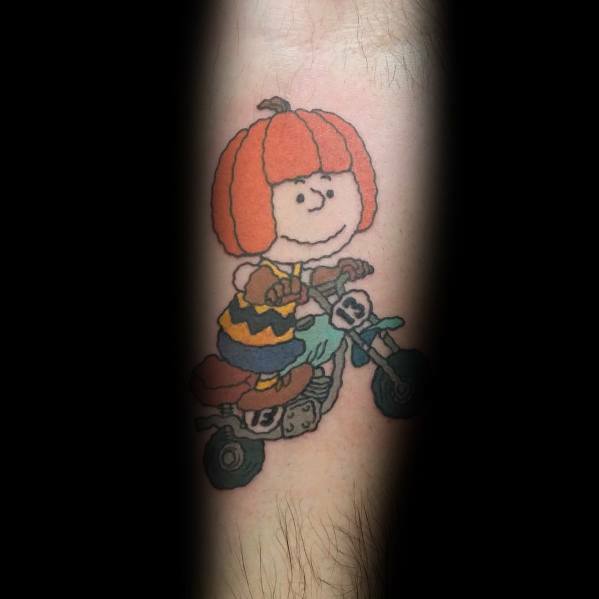 You believe in following your own path, and inviting anyone with a similar mind for fairness to join you. 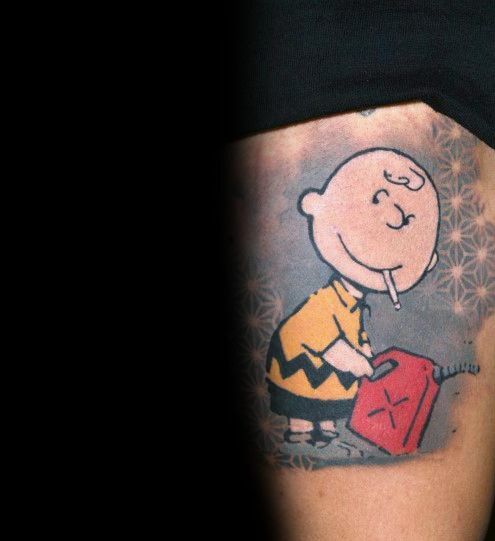 After all, Charlie Brown isn’t just a comic strip legend, but a way of life.